It’s exciting to witness business growth, but you should be careful that you don’t lose sight of the big picture, as there is the possibility that you will make mistakes and experienced sales and marketing pitfalls. There are business practices that you should put in place so that your business is sustainable and maintains steady growth. 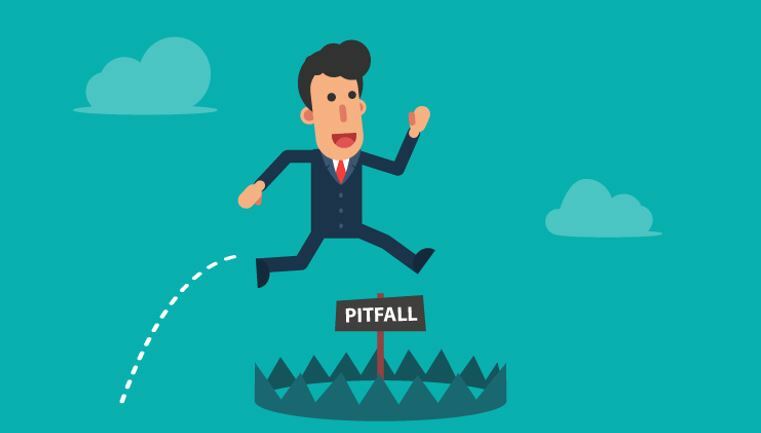 To ensure you stay grounded and avoid pitfalls, follow these 10 tips. You should think about your audience as real people – with full lives, likes and dislikes, and pain points – not as numbers on a chart. You may have defined your audience back when you were a new business, but what does your audience look like now? Should your target audience be modified? Don’t assume that a one-size-fits-all approach is going to work for every aspect of your business – remember to stay agile and continually analyze who your audience is, how they are changing and what they need. If you see success, it can be easily be lured into a false sense of security. Be careful; what works today might not work tomorrow, so don’t become complacent. You should continue to analyze the trend forecast and advancements in your industry to make sure you never fall behind or miss out on an opportunity. Your business may be growing rapidly, but you should still prioritize generating new leads and ensuring you are leading them down your sales funnel. The key is to make certain you are always gathering contact information; don’t give anything away for free without catching at least an email address. Harness the power of collaborating with influencers. Use them as key resources to help boost your business’ awareness and contribute to the creation of content. Influencers will already have their own (large) following which you can tap into, and they will be able to provide you with advice and insight that can spark inspiration. You may think you don’t need to listen to expert advice directed your way when you’re succeeding on your own, but it would be a mistake to turn a blind eye. Experts are labelled as such because they have valuable insights, knowledge and resources that you can benefit from – from sales tips to advice on how to engage with your customers. Never assume that you are too good to hear what they have to say – often they can help you see something you have missed. Sure, you know your stuff enough to see your business grow, but you should never forget to take it back to the beginning from time to time and refresh your memory on the basics. This could be from remembering to conduct audits of business processes, or just retraining yourself and your team on simple marketing tactics and sales funnels. To sustain business growth you should diligently track your progress and gain actionable insights. Without doing so you are not willing to learn from your processes, and when something goes wrong you won’t know the reason behind it. To avoid pitfalls in sales and marketing, don’t underestimate the importance of measuring and tracking data, and documenting it for your team (and clients) to see. It can become easy to get carried away by business growth and forget your core principles and brand identity. Always bring it back to your main purpose; for example, your business might be about selling exercise machines, so you shouldn’t introduce other components without a proper strategy as it will look haphazard. With business growth comes a transition period, which can involve additional management processes and perhaps new employees. When new changes are implemented it has the potential to negatively impact profit. Instead of jumping to make changes too prematurely, you should strive for sustainability that can give you healthy profit margins. When you see rapid business growth, you should be excited. But you should keep striving and pushing so that you avoid sales and marketing pitfalls. Don’t get complacent and think you can take the foot off the pedal and cruise along. If you do this your strategy will become stale. The key is to remain eager to learn, heed the advice that’s given to you and be adaptable with the times.